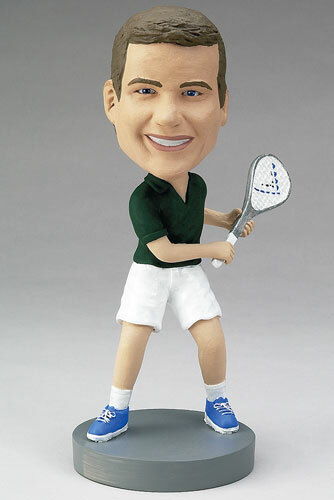 Customize a bobblehead for the tennis player in your life! Make the uniform his favorite colors, and customize the racket as well. This can be a special birthday present or a celebratory gift after a successful tournament.